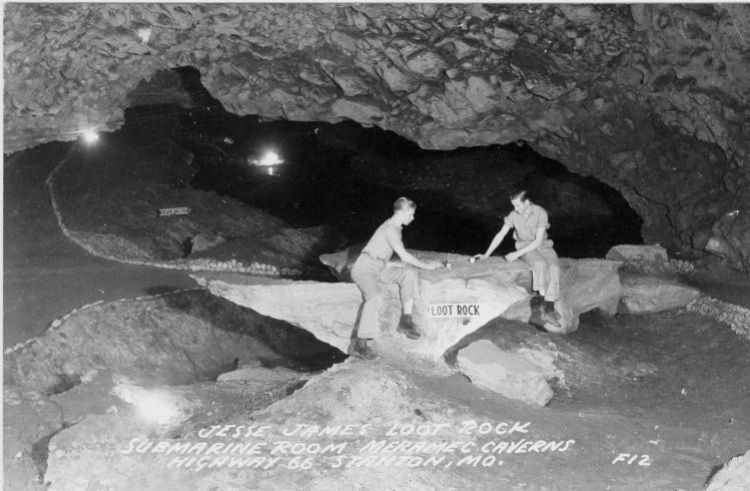 In 1942, Dill claimed he found some rusty old relics in the cave that could be traced to Jesse James, saying the gang divvied up their ill gotten loot on this rock. In 1949, he claimed to have produced Jesse in person. The media ate up the story when Dill and his son-in-law brought 102 year-old J. Frank Dalton to Stanton, and said he was the famous outlaw.